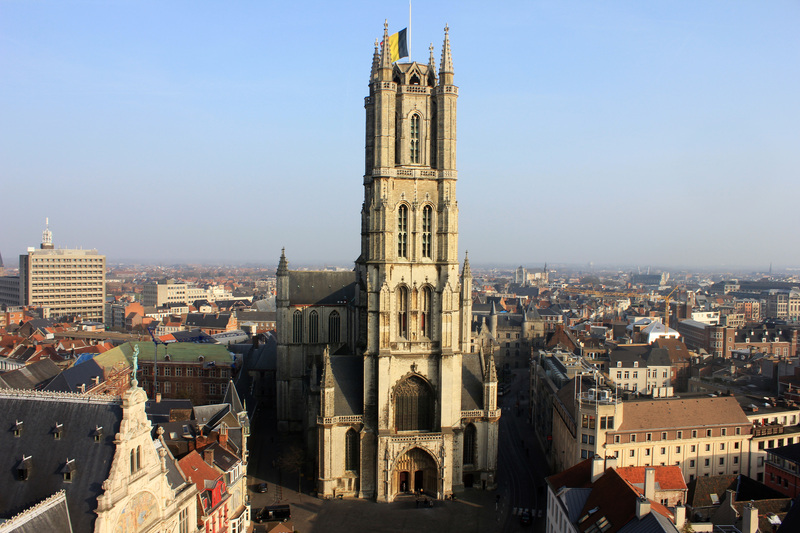 The third of The Three Towers is home to the world-famous Ghent altarpiece, the 15th-century Adoration of the Lamb. Note that the bottom-left panel (out of 24 total) was stolen (and is now replaced with a replica), and although the thief died, nobody knows where it’s hidden. 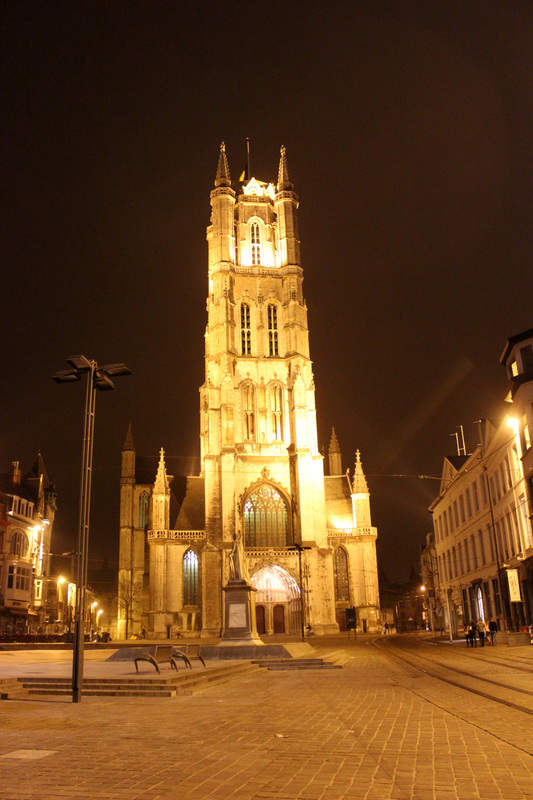 This entry was posted in Belgium, Ghent, Photos and tagged architecture, belgium, europe, flanders, gent, ghent, photography, photos, sint-baafskathedraal, travel by Babak Haghighi. Bookmark the permalink. 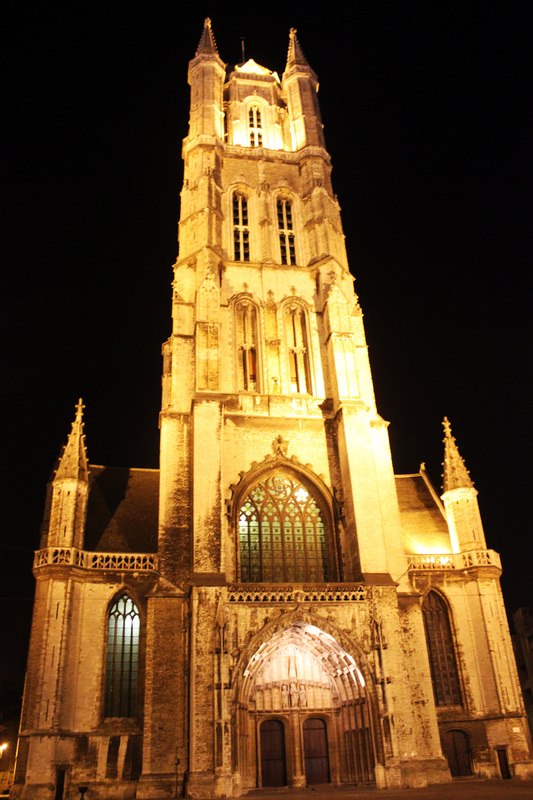 My home town, Adelaide in South Australia, is called the City of Churches so I grew up looking at magnificent buildings like this. Gorgeous!